Last December, these good cooking friends came to take a short Italian class with me and liked it so well (ah, gee) they returned en masse to redeem the class gift certificate one gave to the rest for a Christmas gift–on the condition that we attempt a grilling class. Onward, upward. “Sure,” I said. I also said, “I’m not a big outdoor griller. I grill inside. A lot. I have at least 3 stovetop grills. Dave, however, grills outside. I eat.” (Why should I learn to grill outdoors?!) But I figured between Dave and I, we could come up with a full grill menu everyone would lust after. Or, rather, I’d come up with the menu, and Dave would light and “man” the behemoth gas grill we bought to try and keep up with all his grilling love. Did I say he cleans the kitchen quite a bit? All right, he walks on water. If you’re looking for an entire meal on the grill for Memorial Day or any other day, this one just might be it. It’ll feed 6-8 people generously and could provide a few leftovers at the end of the day. First are a long slew of happy pictures, beginning with an overview of the menu; the recipes follow. At the very end is a link to click so that you can view the recipes in a printable form. ENJOY YOUR GRILL! INA FRIDAYS –First Friday of every month. 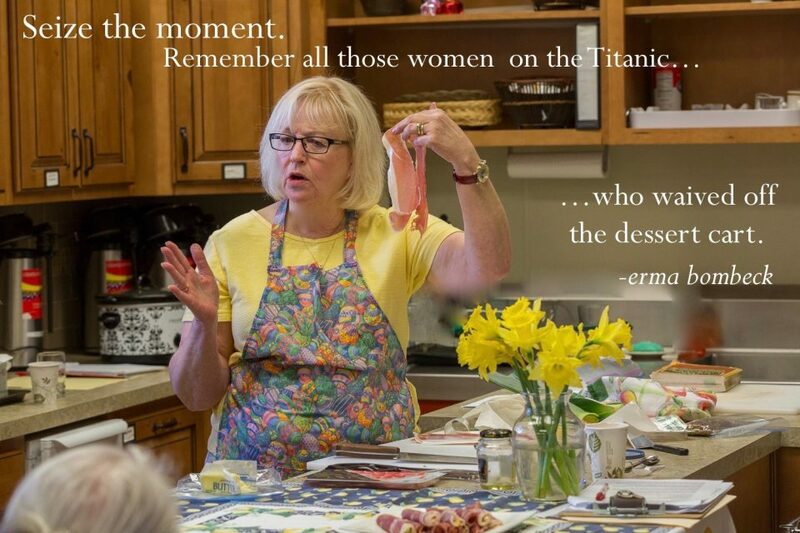 Come cook some Ina with us this weekend. Scroll down to join the group. ♥♥♥ Upcoming: Desserts: July 4. Check out Ina Fridays on Pinterest. Chicken and vegetables grill while the pasta cooks. Stir it all together –at the table?– with goat cheese and fresh herbs, and a fast summer pasta is ready for dinner on the deck. This post celebrates 5 complete years of blogging on MORE TIME AT THE TABLE. Thanks for your loving kindnesses. Here’s to the next five years! Book almost here. I’m reading the proof copy now. So exciting!! For a few years, I’ve loved making summer pastas mostly on the grill. No big heavy sauce on the stove for hours like wintertime, just a few choice lovelies grilled to perfection and stirred into hot pasta (scroll down for pasta info) with some fresh herbs and maybe a little cheese. 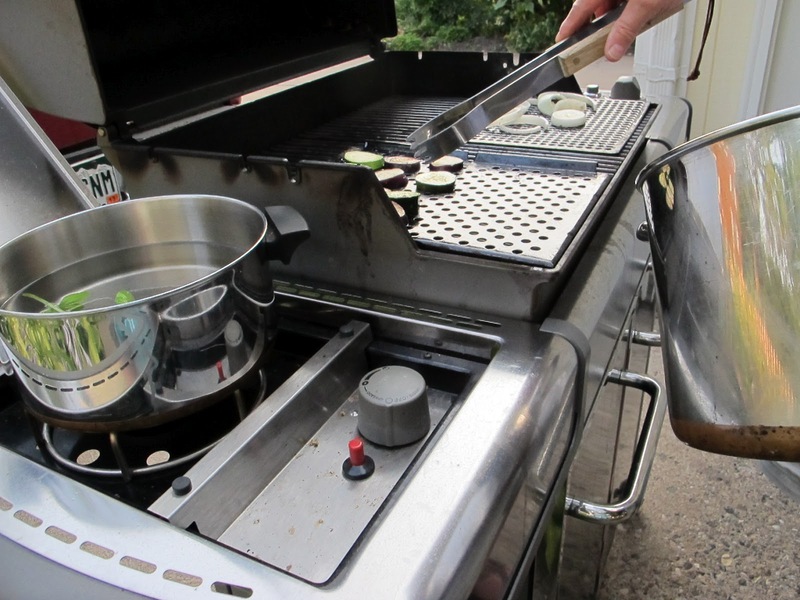 If you’ve a burner on the side of your grill, you can do the pasta outside as well and save your kitchen and you from the damp heat. If it’s not too warm, you can use your stove, which may be quicker. 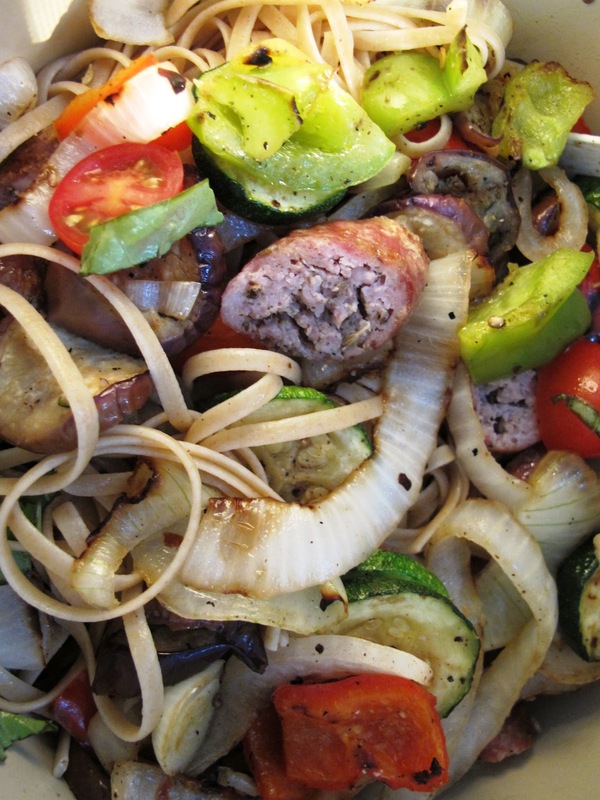 My grilled eggplant and sausage pasta made on the grill is one of the favorites on our deck and also on the blog. It might soon be one of your summer go-tos as well. Every summer, I get about half-way through and want…chili. Pot Roast. Lamb shanks. I’m a bit perverse, I’m fond of saying. I can’t wait for the first grilled chicken and tomato salads. I’m nuts about burgers on the patio in May with zin. But there comes a day when salad looks bleh (stick out tongue) and I don’t even much care about that long-awaited burger. I want something real. 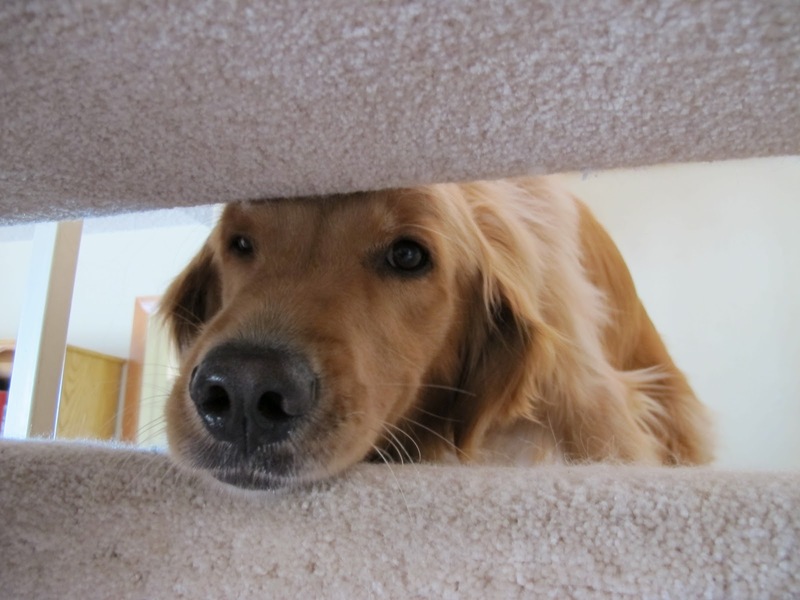 I want pasta. And I don’t want it in a restaurant. I had the idea then to create a dish totally done on the grill--much fresher– and I’ve now tried it. Even the pasta is cooked on the side burner, if you have one. (If not, buy fresh pasta to cook indoors; it cooks much faster.) I’ll amend that; Dave mostly tried it. I designed, orchestrated, cheer leaded, made fresh cheese, and ate it up. The only true heated cooking I did was to saute some garlic in the microwave and warm the milk to make cheese! 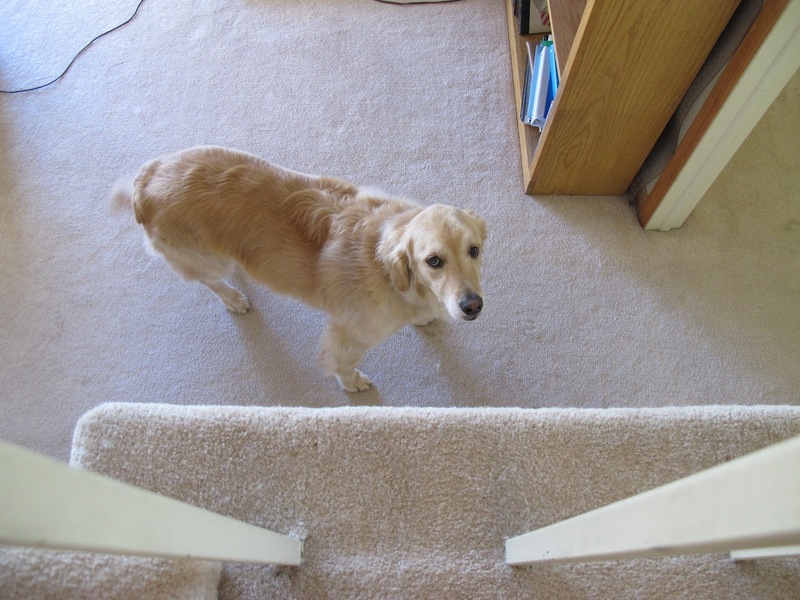 (5 minutes) Do you have to make cheese? Of course not. 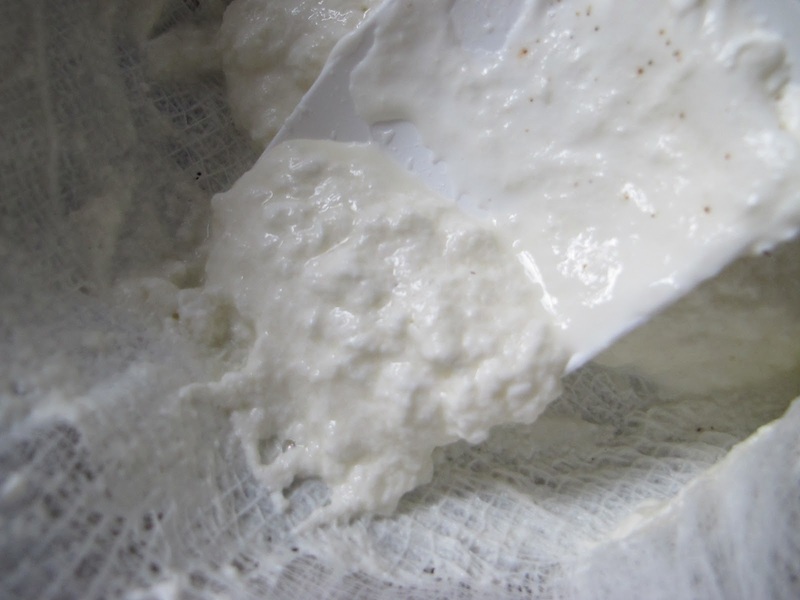 Buy ricotta–fresh if you can get it. But I’d love it you made cheese. 2. Heat oiled grill to medium heat and add 2 sliced unpeeled Japanese eggplant*, 2 sliced medium zucchini, and 2 large onions sliced. Grill, watching closely, until nicely browned grill marks appear on one side and turn. Continue grilling until vegetables are almost tender. Remove to a large pasta bowl or pot. Sprinkle with a bit of kosher salt and fresh ground black pepper and toss. 3. Grill 4 Italian sausages (buy locally made if you can), turning once or twice, until thoroughly cooked–about 6 minutes on each side. 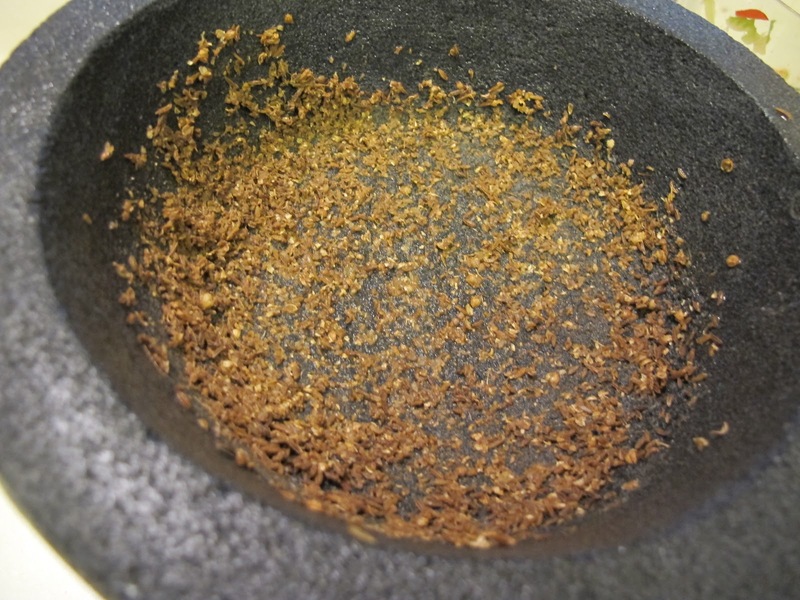 Remove from grill, let rest a couple of minutes, and slice into rounds about 1/3″ thick. (Juices should run clear.) 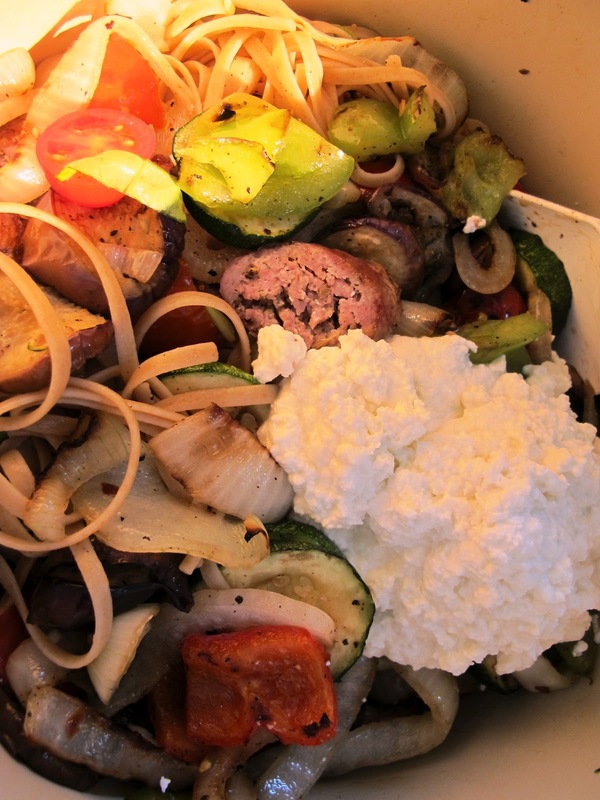 Add to the pasta bowl with the vegetables and toss. 4. Meantime, microwave two minced cloves of garlic with a little olive oil in microwave-safe container on high about 30 seconds. 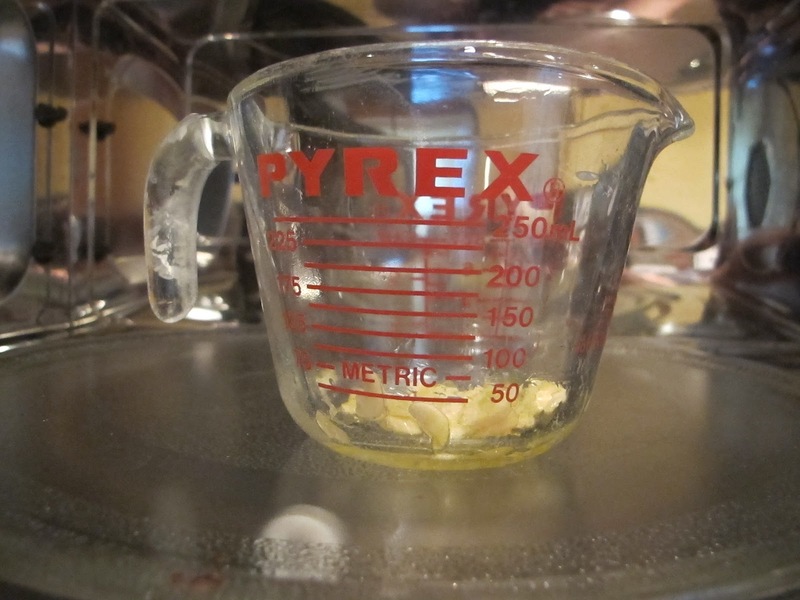 (I use a 1-cup Pyrex measuring cup.) Stir into the meat and vegetable mixture. 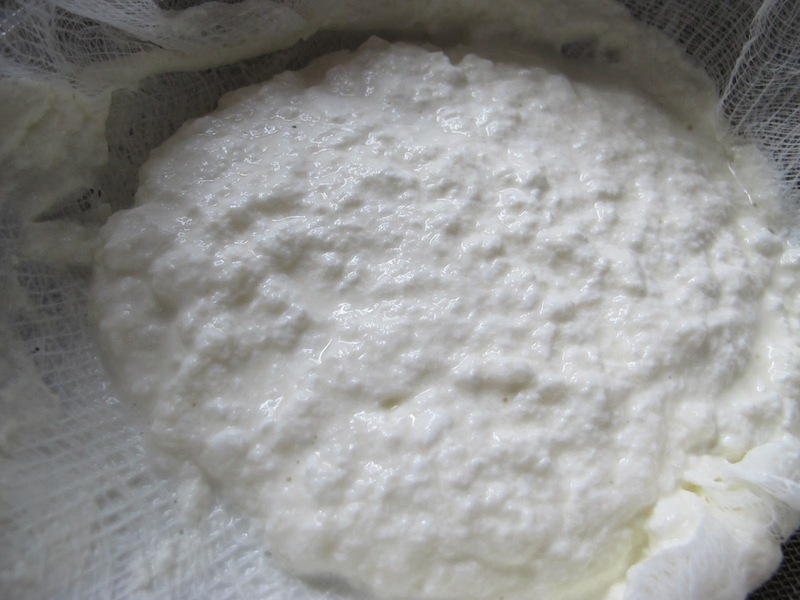 In 2 qt saucepan, heat 2 c whole milk, 1 c plain yogurt, 1 t salt, 2t vinegar for a few minutes. 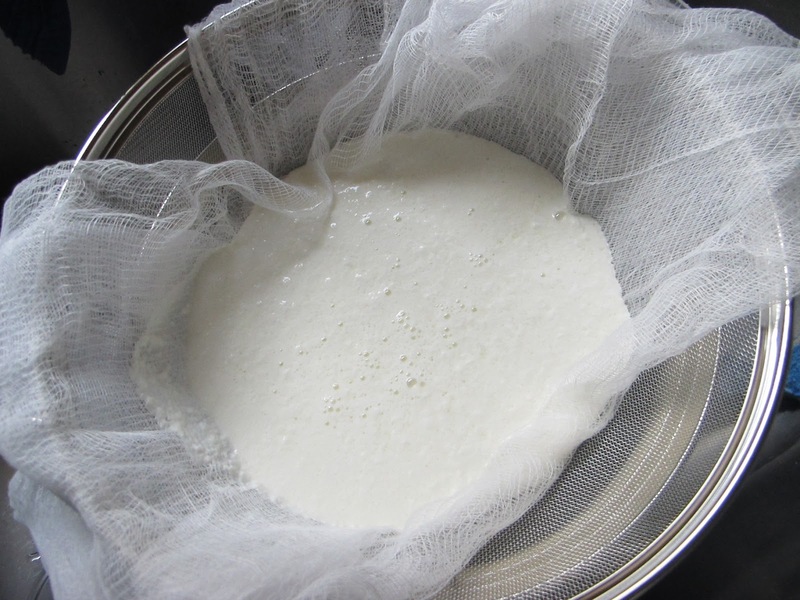 When curds form, pour the mixture through a colander or sieve lined with 2 layers of cheese cloth. Let drain a few minutes. 6. Stir in 2 cups homemade or store-bought ricotta and 1/4 cup shredded fresh basil. Sprinkle with kosher salt, fresh ground black pepper. a pinch of crushed red pepper and stir well. Taste and re-season. 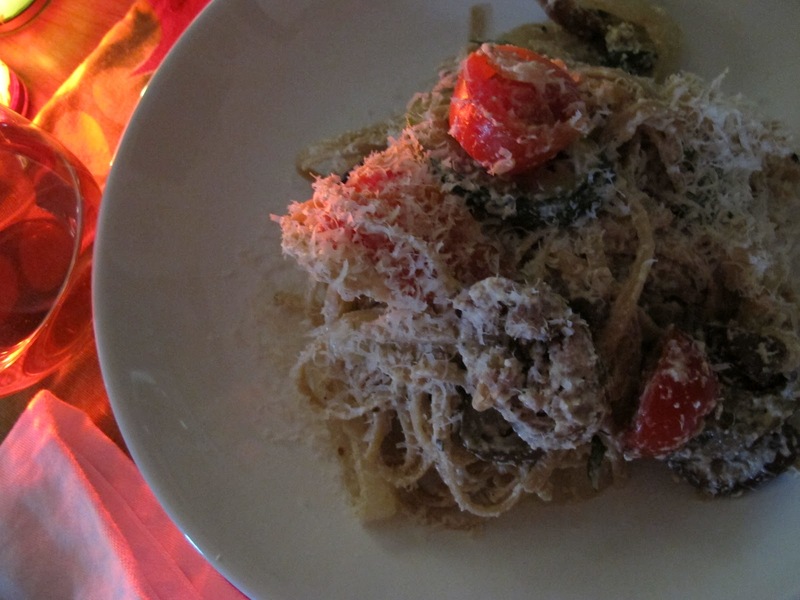 Serve hot or at room temperature with grated Parmesan cheese, if you like. *If using regular eggplant, choose one that’s 1 to 1 1/2 #, firm, with shiny dark purple skin. 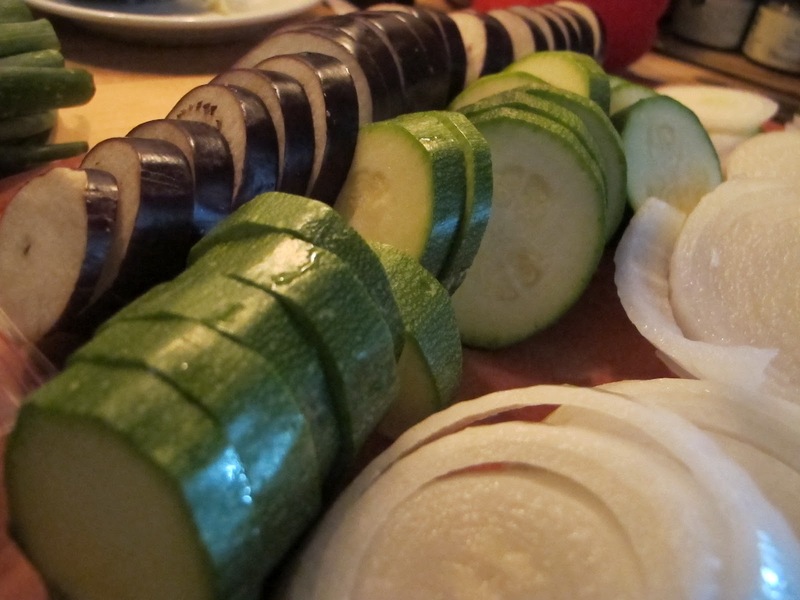 Unlike the Japanese eggplant, you’ll need to peel the larger one before grilling. 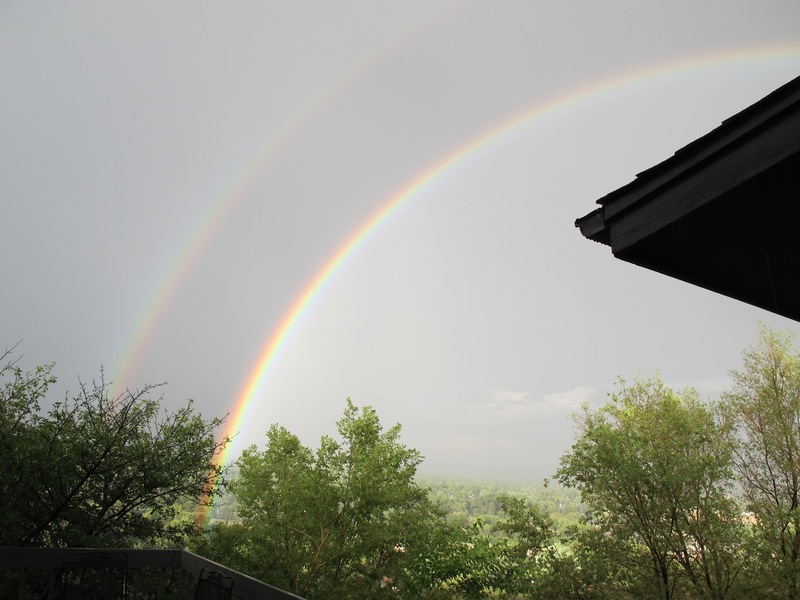 Summers in Colorado are hot days and cool (sometimes cold) nights. Wild lightning storms across huge skies. 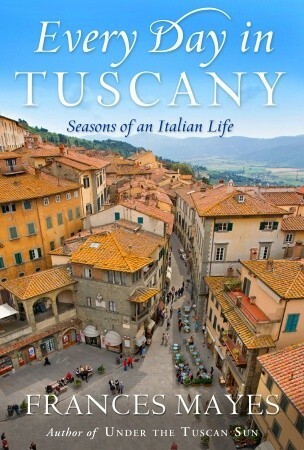 Stacks of summer reading take me to Italy and beyond. Testing recipes for the soup cookbook keep me in the kitchen mornings before it’s too hot. Grinding spices for the Red Lentil (vegetarian) I’m working on. 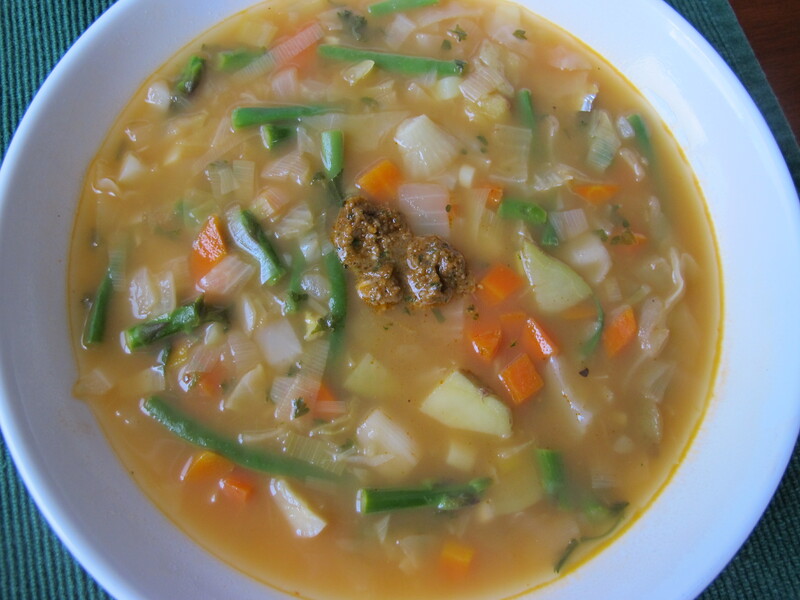 How do you spice your Red Lentil soup? Neighbors pop by for a drink on the porch or get together to watch a movie in a cool basement. Friends come for supper to try the soups on the back deck. So far, I like the Corned Beef-Potato with Irish Cheddar best. But I’m far from done and even that one needs working on. Last night off the back deck after the rain we both love and fear due to mudslides. 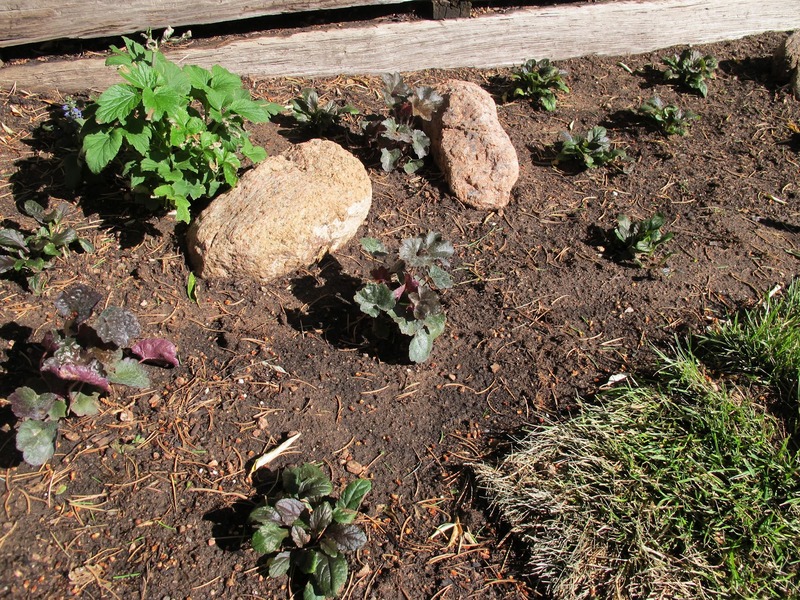 Giving up on corner grass…planting ajuga and a bit of sod. You’re where I want to be, Mom. 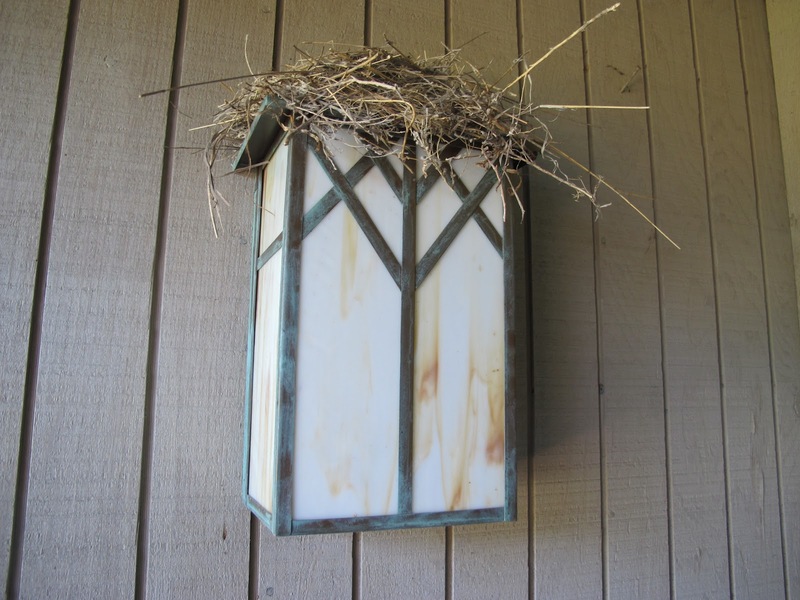 Leaving the robin’s nest on front porch light. Too sweet. 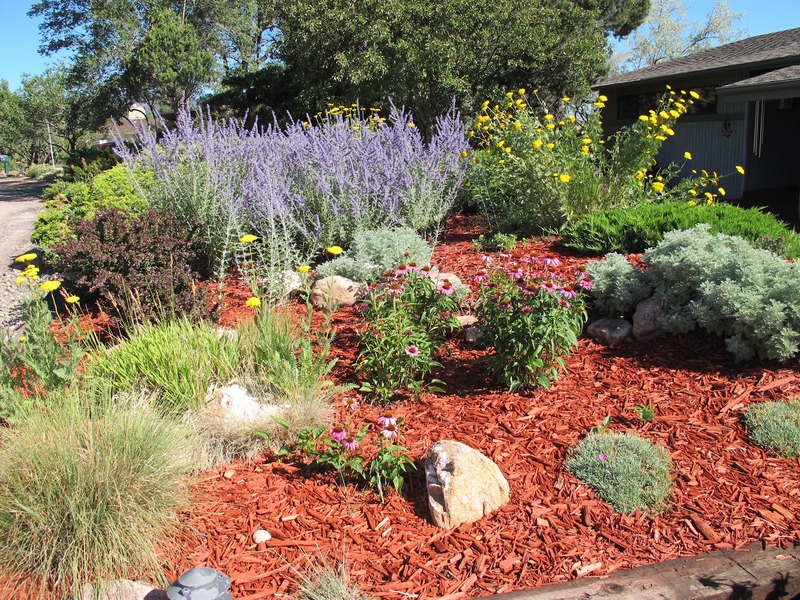 Close-up: She used our Russian sage. 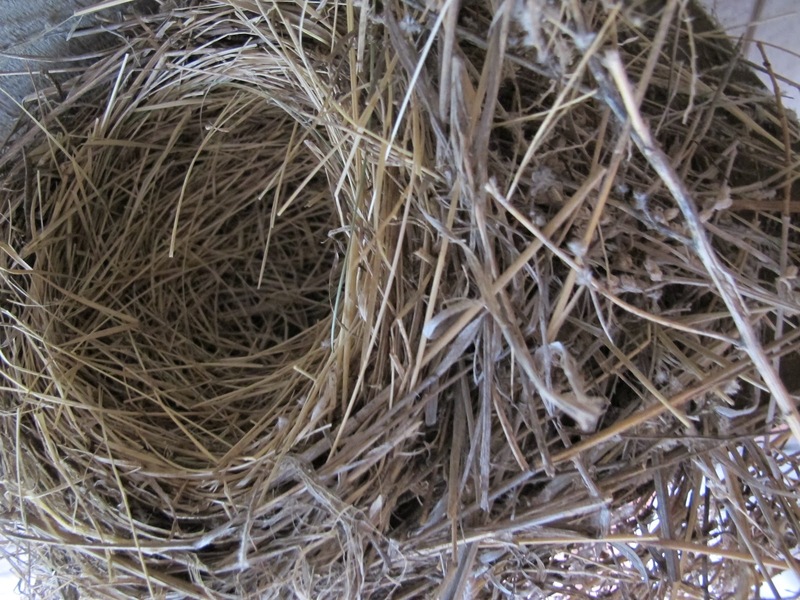 A work of art by an animal. 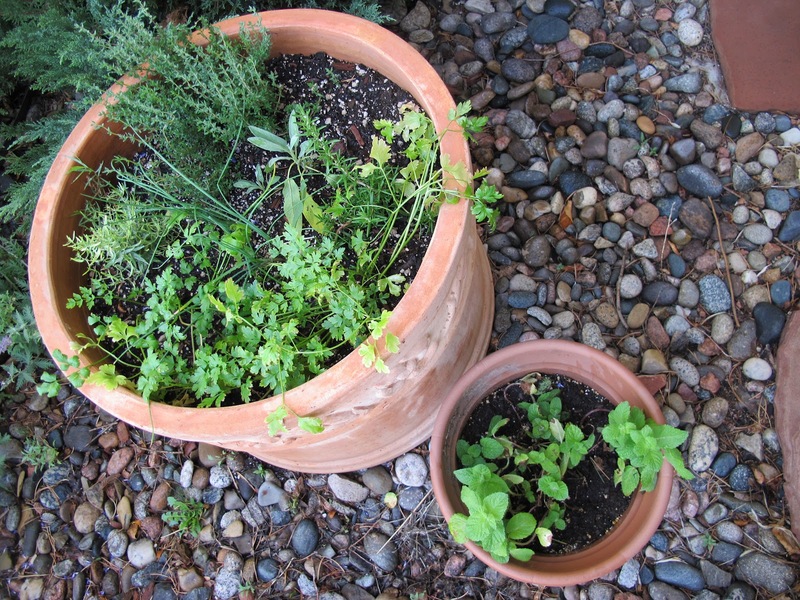 Temporary herb garden outside the front door. 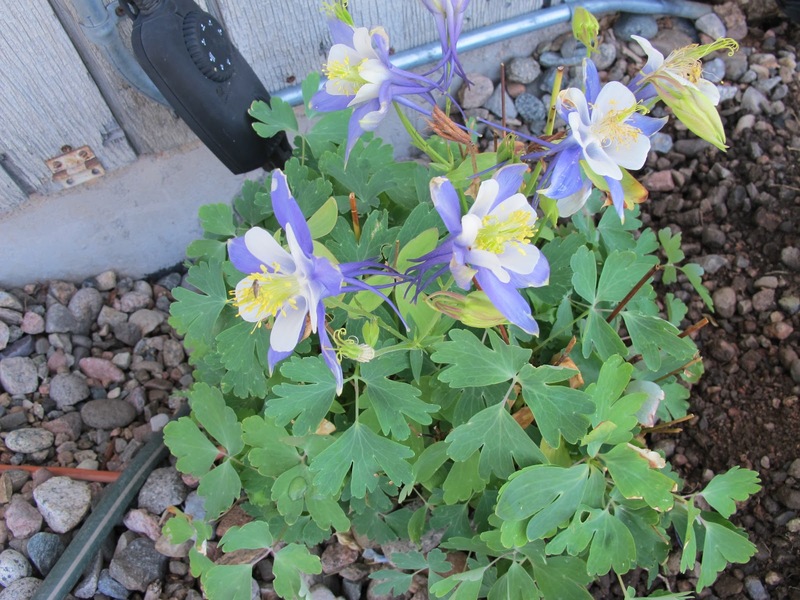 Our columbine in Colorado–chooses its own spot. Illegal to pick. Our front yard here in the Springs. 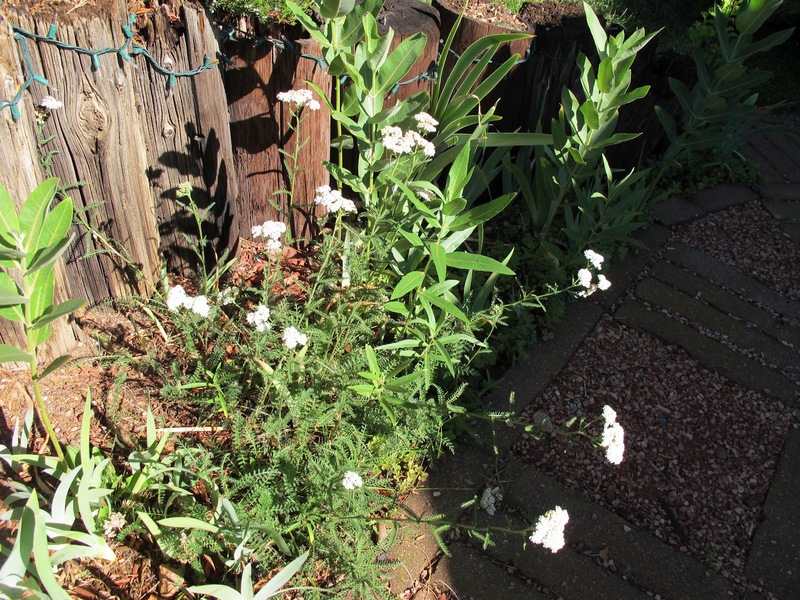 On the front walkway—wild yarrow and milk weed I’ve left. I usually call this the “Primrose Path.” But I’ve yet to plant primrose this year. 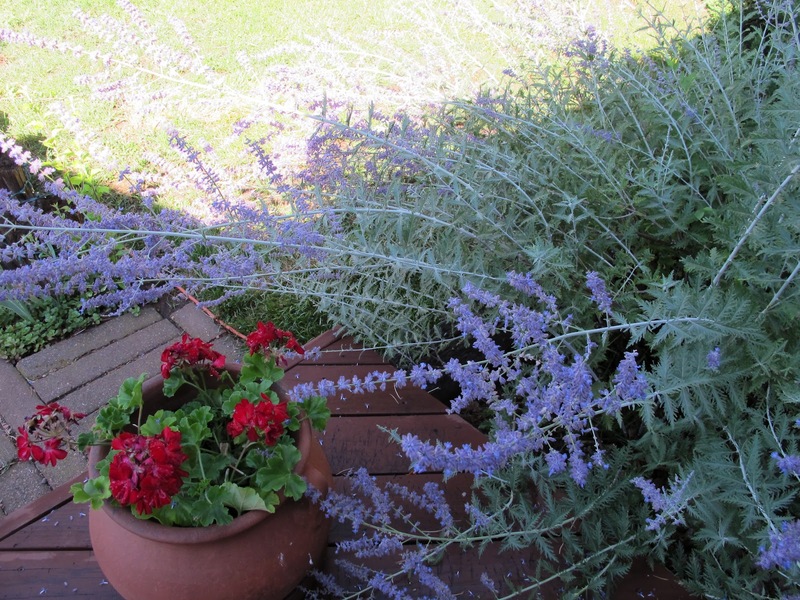 Bees and Russian Sage with my one pot of annuals that must be watered daily or twice-daily.